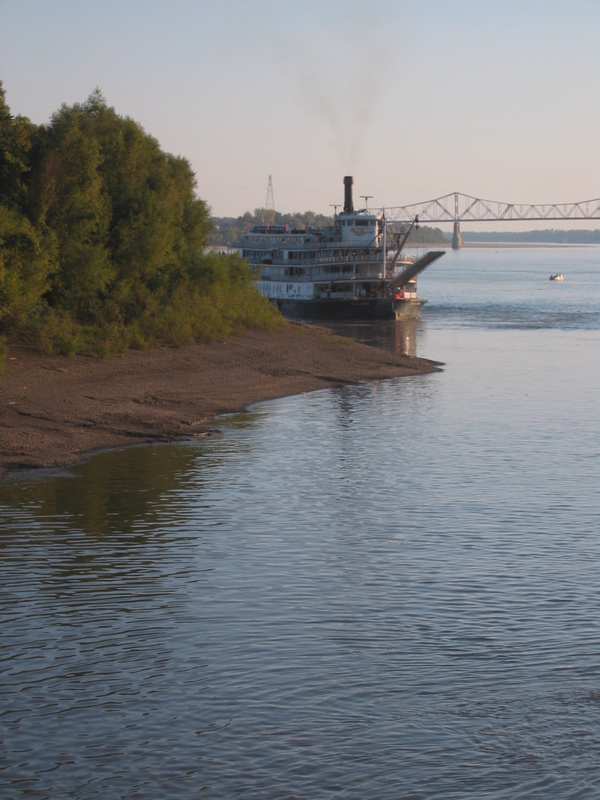 Well, there is an uproar among the passengers of the American Queen. 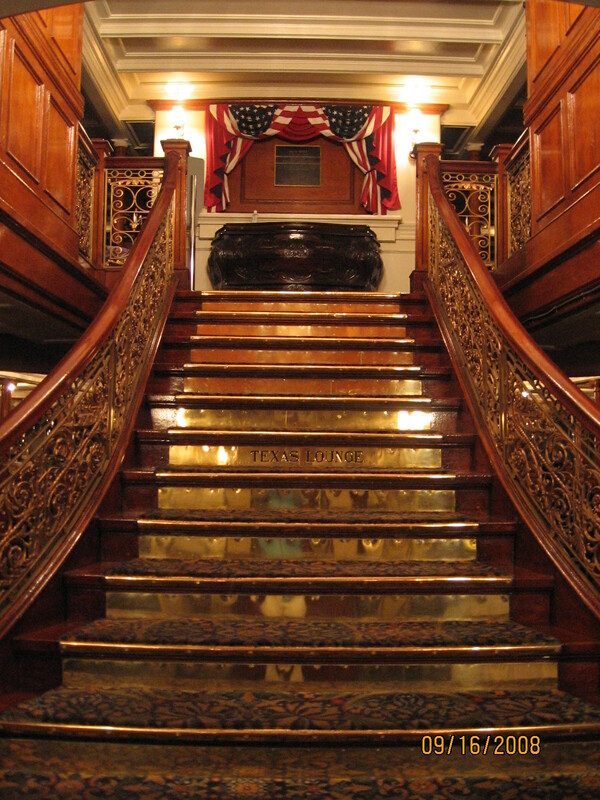 There is a large group aboard that had arranged with Majestic America Line to have some receptions and even dinners aboard the Delta Queen. 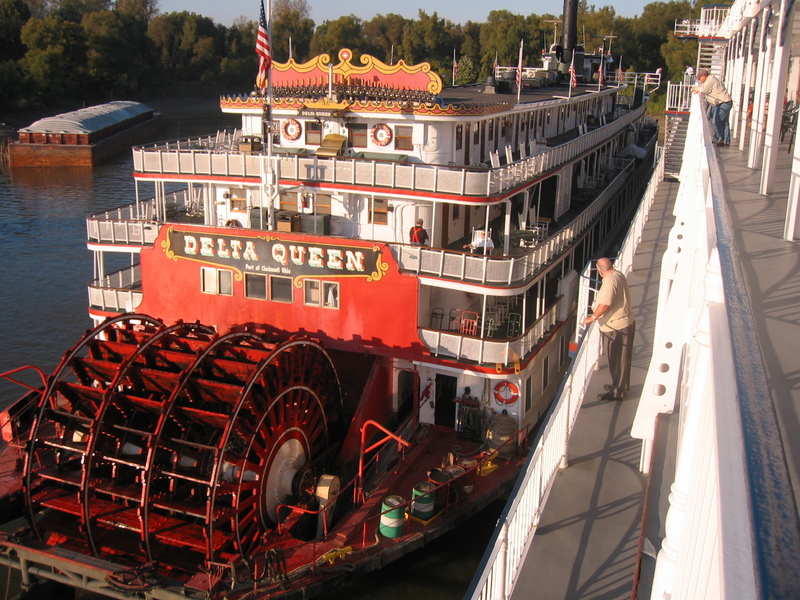 But Majestic has decided not to allow the other American Queen guests to visit the Delta Queen while the two boats are tied together in port. Instead Majestic is offering seven opportunities throughout this cruise for American Queen guests to purchase a $49 opportunity to ride the Delta Queen on a two hour cruise. 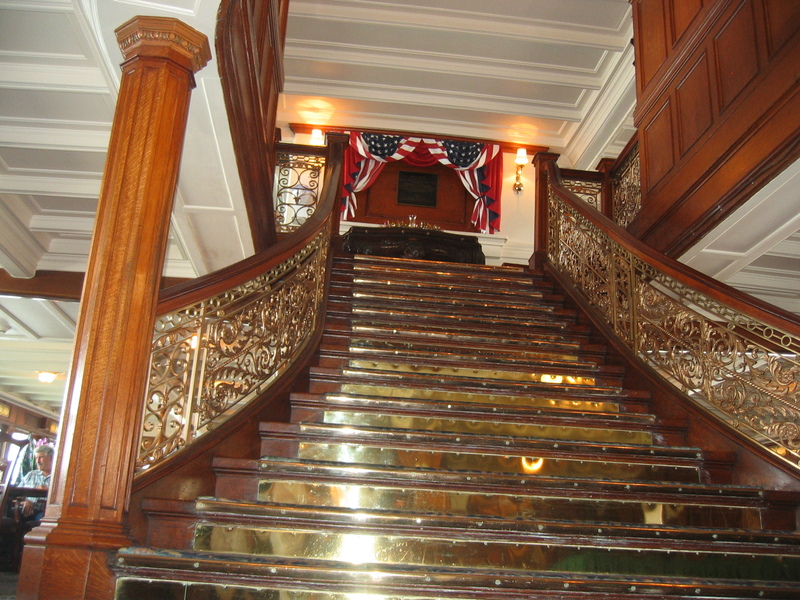 I hope some of the guests will get a chance to see the lovely interior of this boat this week. Wow! Helena, Arkansas is almost a ghost town on a good day. The Civil War soldiers stationed here nicknamed it with an alternate pronunciation: “Hell-in Arkansas” and the nickname is still pretty accurate. This is one of those river communities that has struggled with terrible economic challenges. They do offer a very nice shore tour here and (other than a chance to stretch the legs) that is the primary reason for the stop. We were so pleased to have Mayor Valley and several community representatives join us for the Tribute Event. He expressed very kind and sincere words about the significance of the Delta Queen’s economic benefit to the city.